The high-sensitivity cell can detect impurities in pharmaceuticals which are difficult to detect using the standard cell. Valsartan and decomposition product were analyzed using both cells by the Nexera SR system. 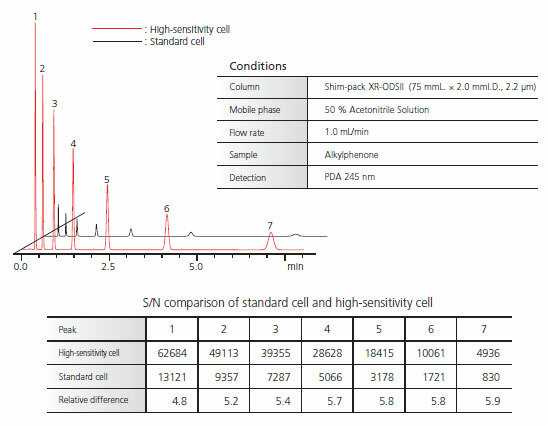 As shown, analysis of a trace-level impurity is possible using the high-sensitivity cell.